Sephora always has various deluxe sized samples they are giving out, in addition to the 3 standard samples available with any order. Some of the deluxe samples are available just by inputting a code at checkout, some require a specific product/minimum purchase and some are available as a Beauty Insider Reward. Here are a few of the places to try to find out what is available. Beauty Deals – Most of Sephora’s currently available Deluxe Samples are listed here. Many of these only require you to input the promo code at checkout. Some require a specific purchase (especially in the perfumes section). 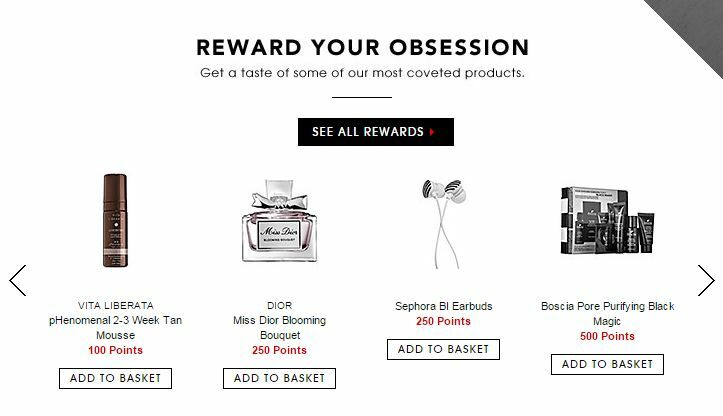 Sephora Beauty Insider Rewards – You’ll find a rotating menu of deluxe samples here. Typical redemption levels are 100 points, 250 points and 500 points. Today’s Free Standard Samples – There are typically 12 options available to choose from. You can pick 1 of each type, and up to 3 standard samples in total. Facebook Fan Friday Deluxe Samples – Sephora advertises a new “deal” every Friday for Facebook fans. Lately these have been deluxe samples.